Story Line: It’s Halloween night. A trio of costumed misfits with very special dietary requirements seizes a Mexican cantina and forces the staff to engage in a late night of gluttony. The only caveat is what’s on the menu…and who will survive ‘til morning! This deliriously demented horror-comedy is a true feast for genre fans. Stuffed with an outstanding ensemble cast and perfectly seasoned with laughs and scares, you’ll be sure to ask for seconds on Gravy. 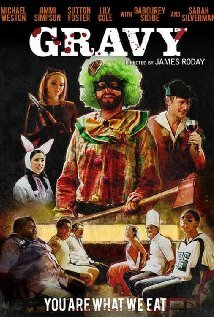 GRAVY is the feature film directorial debut of JAMES RODAY (Psych) and written by Roday and Todd Harthan (Psych, Dominion) starring an an all-star ensemble cast that includes: MICHAEL WESTON (State of Play, Garden State), JIMMI SIMPSON (House of Cards, White House Down), SUTTON FOSTER (Younger, Bunheads), LILY COLE (Snow White and the Huntsman), MOLLY EPHRAIM (Last Man Standing), PAUL RODRIGUEZ (Ali), GABRIEL LUNA (True Detective, Wicked City), LOTHAIRE BLUTEAU (Vikings, The Tudor), ETHAN SANDLER (The Bourne Supremacy, Crossing Jordan), DULE HILL (Ballers, Psych), with GABOUREY SIDIBE (Empire, Precious) and SARAH SILVERMAN (Wreck-It Ralph). 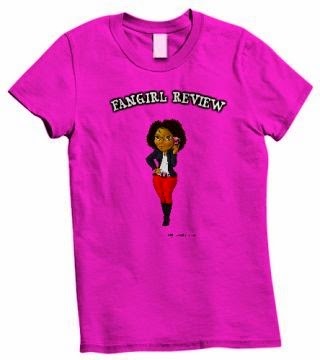 Fangirl's Review: This movie starts out with a typical night that quickly goes left. I enjoyed the concept of the movie so I felt I had to check it out. I must admit I was not ready for the gore to happen but at the same time I enjoyed the madness throughout the film. This movie has a potentional to have a cult following as the killers were hillarious and Sutton Foster truly made the movie. Foster's character was fun to watch and she was cunning. The deaths of some of the characters made you just laugh. I personally hope for a sequel this movie is too good just to end. If you enjoy tongue-in-cheek horror films then this if the film for you. Check it out and let me know your thoughts.